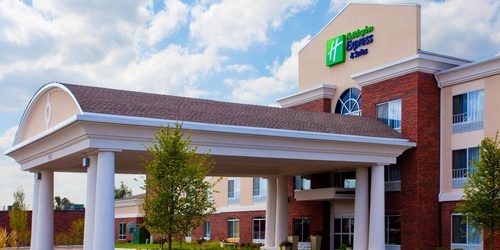 The Holiday Inn Express® Lake Zurich hotel knows what corporate travelers want. It's conveniently situated within easy driving distance of downtown Chicago and near major businesses. Complimentary high-speed Internet access, a 24-hour business center and 800 square feet of flexible meeting space make conducting business easy when you stay with us. Our Lake Zurich hotel's ideally located near multiple attractions, including Concorde Banquets, Long Grove, IL and the Canlan Sportsplex. Spend the day sightseeing in downtown Chicago or play a game of golf at the Kemper Lakes Golf Course. We have an array of complimentary amenities to guarantee a great stay, including a hot breakfast bar, a 24-hour fitness center and a 24-hour heated, indoor pool & whirlpool. 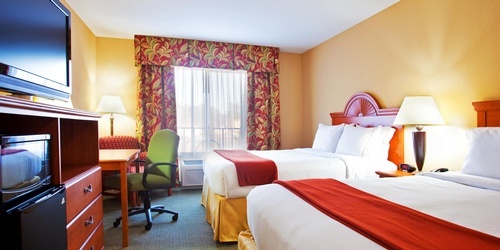 Make your reservation at our Lake Zurich hotel today.